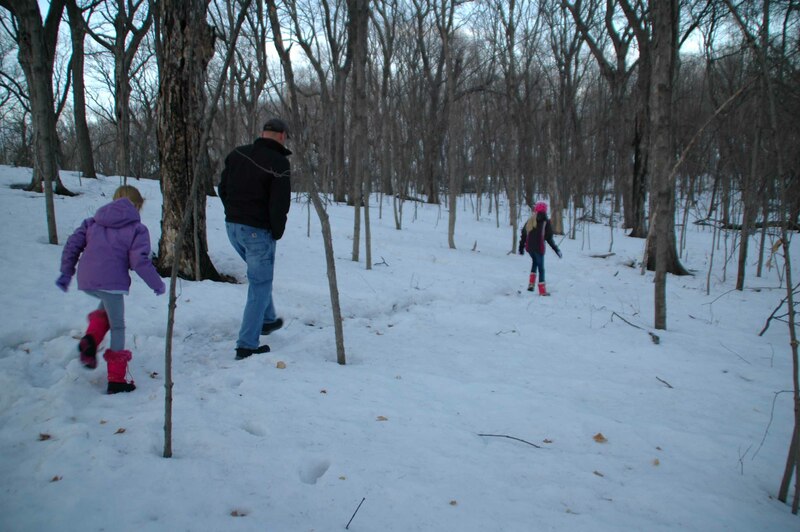 March 17, 2014 Diana B.
Mr. Masters said the sap was running today! 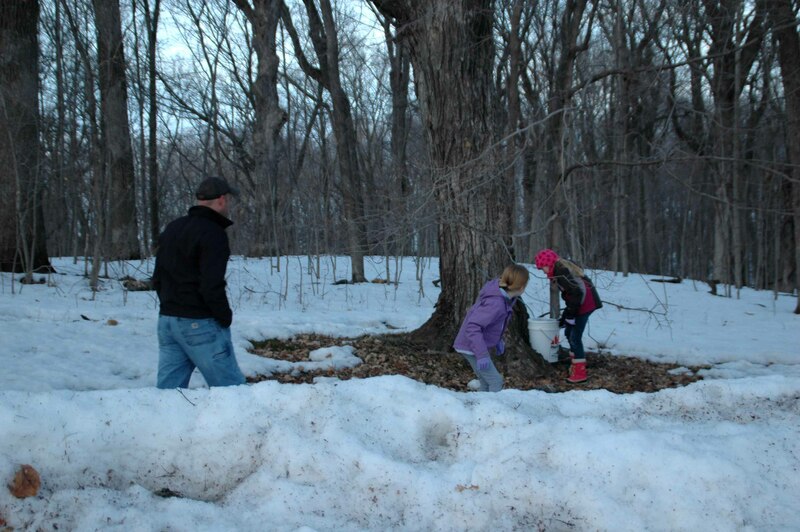 So we just had to go check out the sugar maple trees and see it firsthand, even if it was late in the evening. 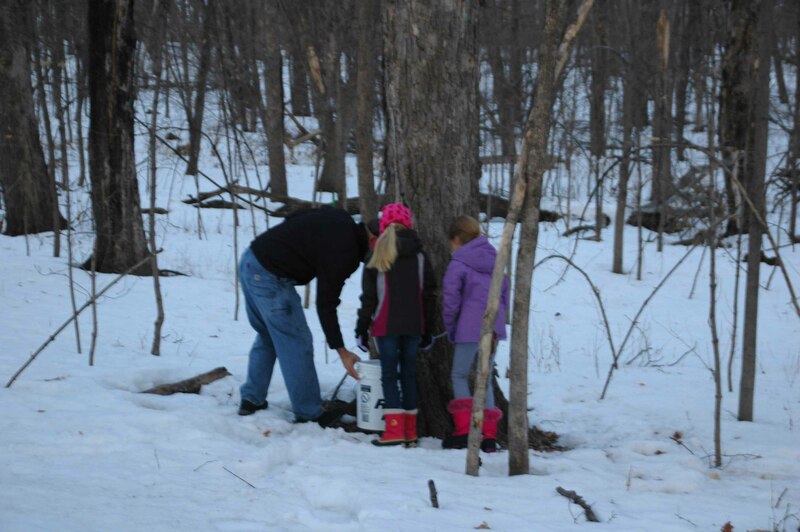 It’s only been a week and a half, but so much snow has melted since our first maple sugaring adventure. The woods feel like a different place already. 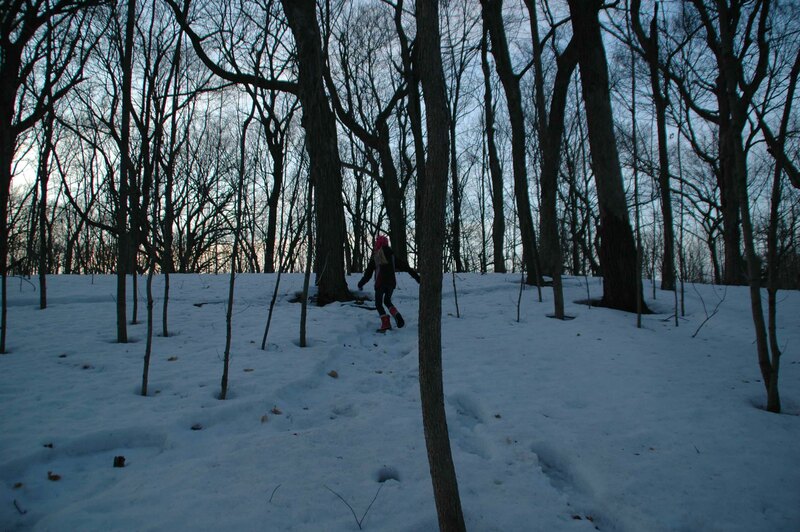 Tonight we moved much faster from tree to tree, and Michael didn’t even wear his snow boots. 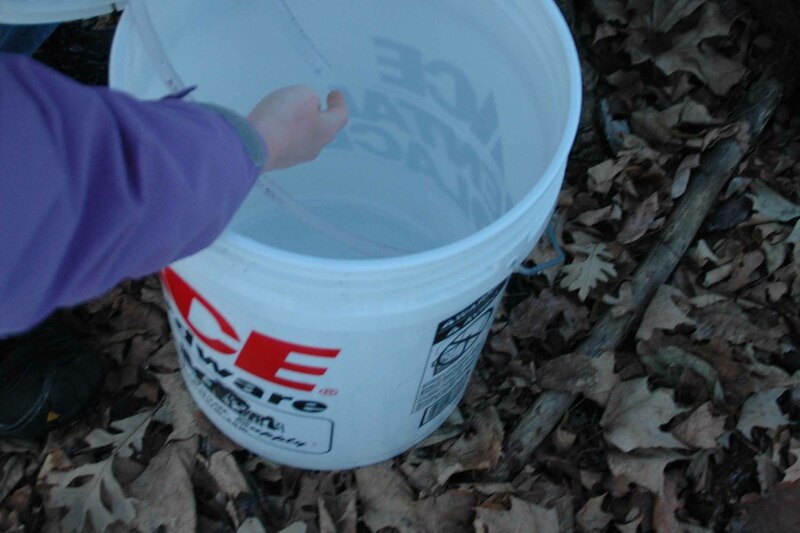 Some of the buckets had no sap, but some had a bit of sap. 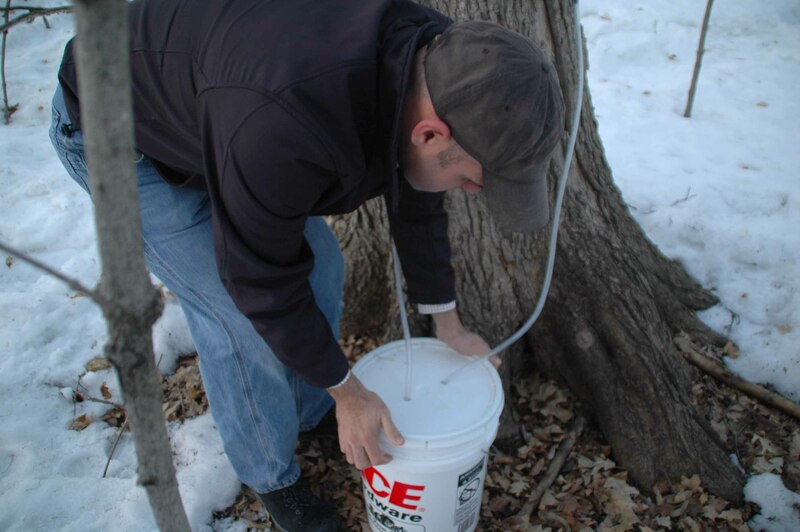 Maybe Mr. Masters had already emptied and collected some of the sap earlier today. 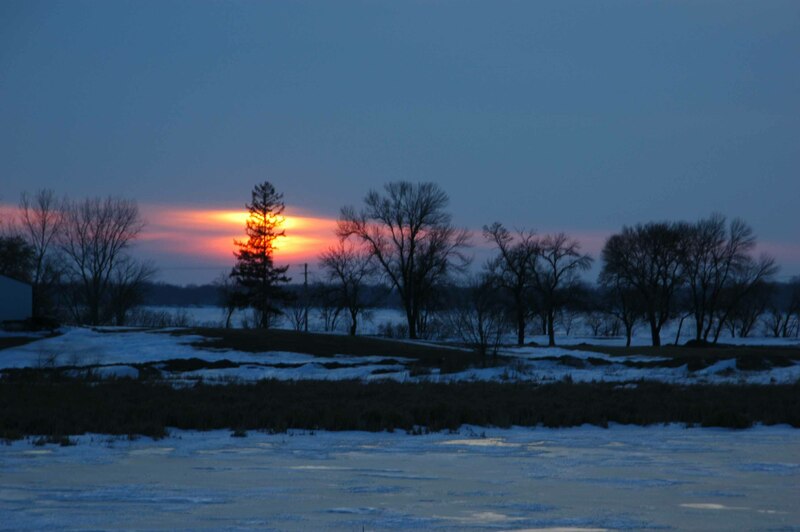 As we left, the setting sun glowed across the frozen lake. And we were glowing a bit, too. Tomorrow’s forecast includes 3 to 6 inches of fresh snow. A sugar snow!